Gerard Doppenberg - Piano Tuning and Restoration in Abbotsford, Langley, Surrey, Chilliwack, Hope, Vancouver, and all points in between. 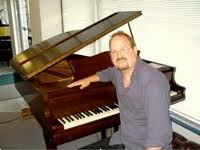 Piano Tuning and Restoration in Abbotsford, Langley, Surrey, Chilliwack, Hope, Vancouver, and all points in between. Gerard Doppenberg is a local piano tuner who has been tuning pianos for over 25 years. His extensive tuning repertoire includes tuning pianos in home for beginner to professional artists as well as tuning pianos for music academies, schools, churches, care facilities and for special events and concerts. Rates: Tuning rates start at $150.00 plus taxes. Gerard and his team will move your piano safely. Gerard moves pianos using proper equipment, technique and experience to ensure care and protection for your piano and home or where the piano will reside. Moving Rates are dependent on the following criteria. Please contact Gerard directly to request a quote for your piano move. Contact Gerard directly to discuss your piano needs. In Search of a Piano? Gerard has 25 years experience in the Piano retail business, so feel free to consult with him regarding piano purchases. At times, Gerard carries pianos in his shop that he believes to be worthy of a new home. You are welcome to stop by to view these pianos and to talk about what you looking for in a piano that would meet your needs. He may have something for you or have ideas of where to continue to your search.